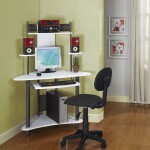 As if dealing with small living space is not enough, now you must find computer desk ideas for small spaces to provide you with a comfortable small workstation so you can work comfortably. Hmm, this may sound impossible, but it is actually not! 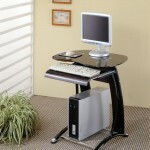 Look around carefully and you will be surprised to know how possible it is to have a sturdy but small workstation with a computer desk—even the ergonomic one— in your compact house! Well, where is the best place to put your computer desk if not the empty, neglected corner space? 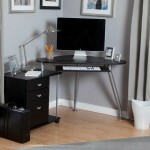 Speaking of computer desk ideas for small rooms, we personally find corner units are more suitable for smaller spaces. 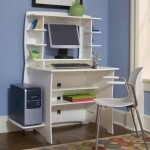 You can start with this modern corner computer desk that can help you maximize on vertical space using built-in shelving units. If you are not really concerned with a storage unit—“All I need is only enough surface to put my PC or laptop!”—this black painted corner table will do greatly. 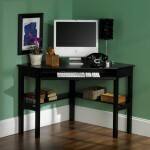 Alternatively, what about this awesome wall-mounted computer desk that can blend in seamlessly with the surroundings? This is indeed an awesomely cool idea for a small room since it is not bulky. 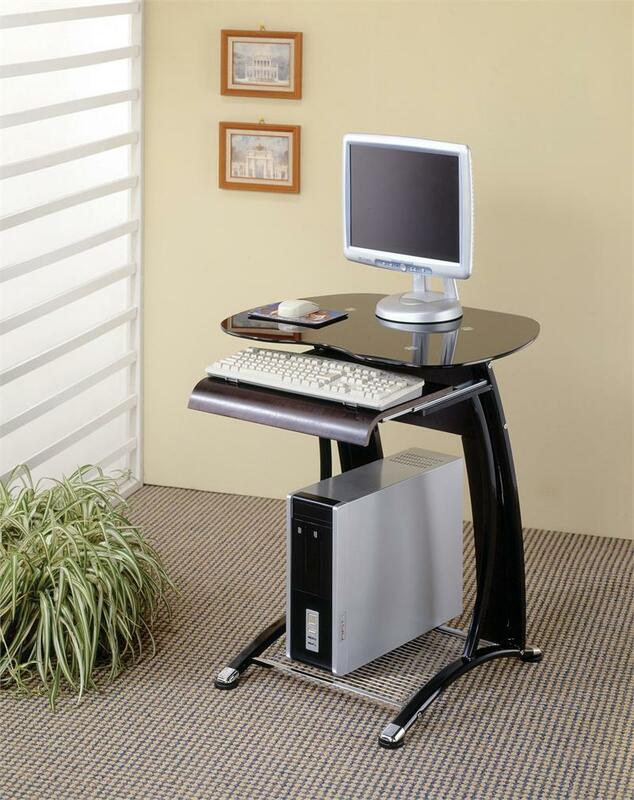 Even better, you can simply use a stool—especially a movable one—for seating if you don’t have to sit for hours in front of your computer. 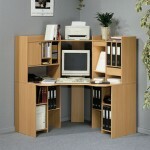 The idea of mounted desk is just like the wall-mounted shelving unit. 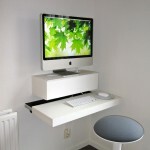 Another cool alternative to a computer table for small room is a multi-functional unit. This means you have to get a custom-made one. 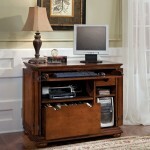 Take a look at this interesting wooden cabinet design in a traditional living room setting. 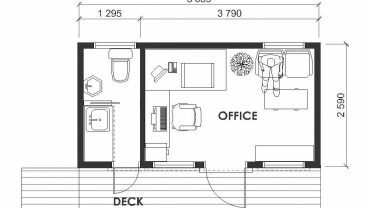 Some of the small room furniture ideas here may appear like any ordinary storage unit, but They are convertible units that have multiple functions.